The Department of Philosophy was established in 1995. Since its inception, the department has been working diligently towards the dissemination and advancement of knowledge by translating philosophical wisdom into the context of understanding. In order to realize the above noble objective, the Department has been working tirelessly to develop and pursue appropriate course modules and research programmes. It always stood to ensure quality teaching and research supervision. The Department has also been trying to promote interdisciplinary research and studies. The current major thrust area of the Department is Philosophical Anthropology. Aiming at recognizing and promoting the constructive dimensions related with human existence and the existence of life on earth, the Department concentrates on specific areas such as Applied Ethics, Existential Ethics, Environmental Ethics, Gender Ethics, Aesthetics, classical and contemporary Indian and Western Philosophies, Critical Theory, Hermeneutics and the Philosophy of Social Sciences. The school is engaged in preparing research programmes accordingly. Consciousness studies from Vedanta & Phenomenology is a new dimension in research that is added to the research activities of the department , several research scholars and faculty are engaged in consciousness studies. Focus is placed on NET/SLET/JRF exams. Placement record of the department is quite encouraging. 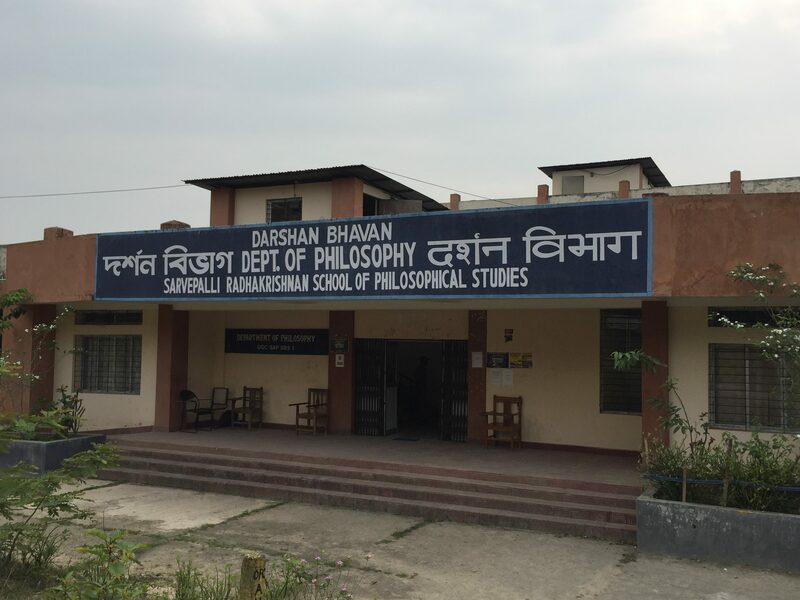 Students passed out from the department of Philosophy have found placement as faculty members/researchers in universities,colleges and other academic and research organizations in different parts of the country.